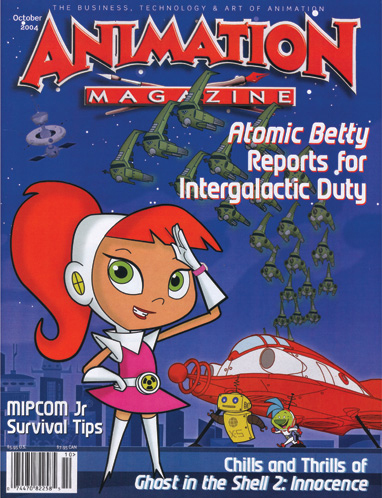 Atomic Betty Rocks the World: The creative team at Atomic Cartoons and Breakthrough Animation talk candidly about the process of bringing Atomic Betty, their spunky new Canuck heroine, to animated life. The Hottest Manga Compendium. Swimming with Sharks. Back to the Future. Tales from TV Market Hell. Lions and Tigers and Vegas Acts, Oh My! Bad to the Bone. Reaper Madness. The Devil's in the Details.